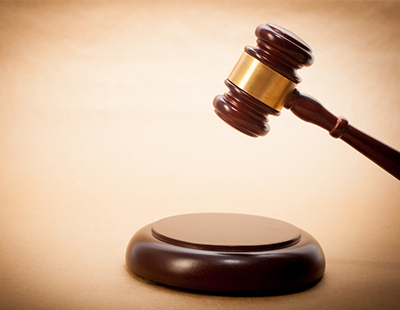 The new Homes (Fitness for Human Habitation) Act 2018 will be introduced from tomorrow giving tenants the tenants the right to sue landlords who fail to adequately maintain their properties. The Act, which is actually an update to the Landlord and Tenant Act 1985, will cover all tenancies of less than seven years in length, which covers the majority. The new law is designed to prevent tenants having to put up with unsafe or unsanitary conditions, such as damp, poor ventilation, lack of natural light and blocked drains. 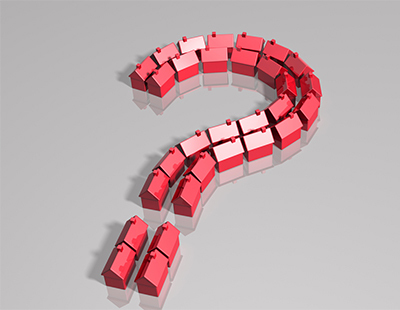 So what issues can cause a property to be classed as unfit? Madalena Penny, founder of Penny Joseph letting agents, based in Southport, believes that not all unfit properties are reported to landlords or agents. Penny continued: “It’s important that a thorough inspection is undertaken before the tenancy has begun, and that the tenant is present during the inspection and signs the inventory. “Under the new dampness habitation law, it would be wise for landlords and agents to have a sheet outlining damp preventing tips for tenants. Having tenants sign a declaration stating their responsibility for good ventilation in properties would be wise and could be signed for at the outset of the tenancy along with their ‘How to Rent’ guide. Poll: Do you agree with the new Homes (Fitness for Human Habitation) Act 2018? Only the most undesirable tenants would move into a property with existing problems. Most problems are caused by tenants' life styles. I have a clause in my leases about adequate heating and ventilation, which prevents damp and mould. Another clause is about promptly reporting problems for early resolution. Possession Friend has been warning of the inherent dangers in this loosely and poorly worded piece of Labour, pro-tenant legislation. I hav been issuing leaflets regarding the causes and prevention for condensation with tenancies for years. You can have fans and trickle vents on windows but if the vents are kept shut and fans are not switched on how do you mange that? To get the EPC ratings up you have to add more Insulation and seal drafts. Older properties don't have breathable materials so the water loaded air can't escape. 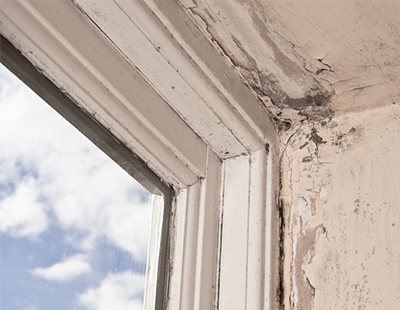 Condensation black mould is now common and should not be on the list. If a family size increases within the household then the risk of condensation increases. Yet if Section 21 is removed you will not be able to do anything about it. Condensation is caused by a high water content in the air and a cold surface on which the water can then condensate. This then is the breeding ground for black mould growth. A good Damp Proofing contractor can tell you this and how to avoid the consequences but nobody seems to take any notice of contractors who need to charge for the advice they can give. Don't give a tenant something you have written yourself as this can be challenged by the simple words 'what qualifications do you have to be able to state this'. Get the money out and pay for some proper advice in a leaflet form that you can issue and get a signature for it. Problem solved as far as mould is concerned. Any tenant that causes mould to occur is entirely their fault unless it can be proven that there are any issues with the fabric of the building. Tenants who are too thick to appreciate that the air in a property needs to be replaced every day deserve al the problems they cause. If this is detected by the LL eviction awaits. Tenants should do as they are instructed by the LL and conform to what explanatory leaflets tell tenants to do. Rarely are damp and mould caused by problems with the property. If there are then these must be addressed by the LL immediately. When I have a new tenant they get a notes on Legionnaires decease and what can cause it, damp and mould and how to avoid it. Still get mould from not opening windows and cloths drying over rads!! Charge them everytime as Inventory shows property clear. Perhaps there should be an attachment to the HTR booklet detailing the issues of mould and how to address them. At least then no tenant could deny they have not been told how to live in a building.. If condensation is noted open a window etc!!!! PB this still can come back to the question - what qualifications do you have to state this? Ever been to arbitration with the DPS? If you have you know that they side with the tenants and whatever you give the tenant, unless you have a qualification to say that you can offer this information then you are on a loser. Cover your backside it really is that simple. Personally no qualifications at all. However and appreciating what you state if a tenant fails to comply with Govt information is that the LL fault!? It is an impossibility to be qualified. I would just do inventory photos at tenancy start and finish. At the end. Tenant fault! No tenant ever disputed my retaining all or some of the deposit cos they knew I was correct!! But I do accept what you state. If I had a property which due to tenant ignorance was consistently mouldy I would get shot of the property. Ignorant tenants will continue; best get rid of a property that tenants are incapable of living in correctly. Especially with these new regs best get rid of these types of property! All it will take is a tenant to game the system with an avaricious no win no fee lawyer and the LL could be bankrupted!! LL need to get rid of the low rent tenant and property. I DON'T entertain the low end of the market due to the problems you have mentioned and alluded to. Cost nearly £600 to sort. Also mould and damp, never had before, never since. DPS agreed part payment, fool arbritrator had photos, invoices, contractors report, Inventory, 3 monthly Inspection reports, still this foolish inexperienced arbritrator favoured the tenant, who gave no notice, no forwarding address, dozens of debt letters. Dont use DPS, made Complaint to highest level fell on deaf ears. DPS should be shut down. Yep I refuse to use anything but the insurance version of deposit protection. Tenants tend not to bother when they know the LL has the deposit monies. All LL should use the insurance deposit version.